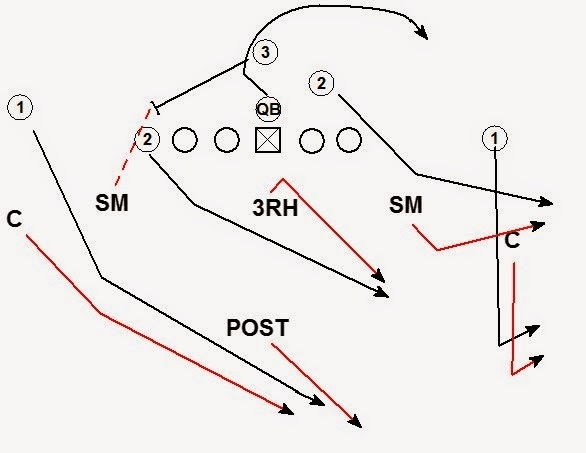 This post is continuing the coaching points for 3 under 3 deep Firezone coverage. These coaching points come from the 2003 Kentucky playbook of defensive coordinator Mike Archer. Call alerting Safety and Backside Corner #1 strong is in a crack alignment. Against a play action flow pass with a crack alignment of of #1 the defense will make a Zombie call pre-snap. When the #1 receiver strong goes in crack motion the Corners and Post Safety must communicate with a "Zombie" call. The Zombie call allows the the Post Safety to rob the dig. If the 3RH player is fooled by the play action fake the defense is still able to cover the levels route from the offense. The Zombie call tells the backside corner to overlap to the middle of the field and double cover the post with the other corner when #1 on his side runs a dig. The defense would make the same Zombie call vs. a #1 aligned in a reduced split crack alignment. Here the offense aligns with #1 in a reduced split. 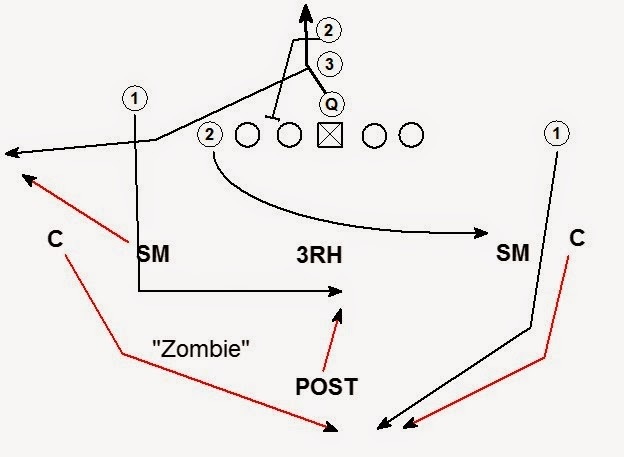 The defense makes a Zombie call to alert the Corners and Safety of the reduction of splits. 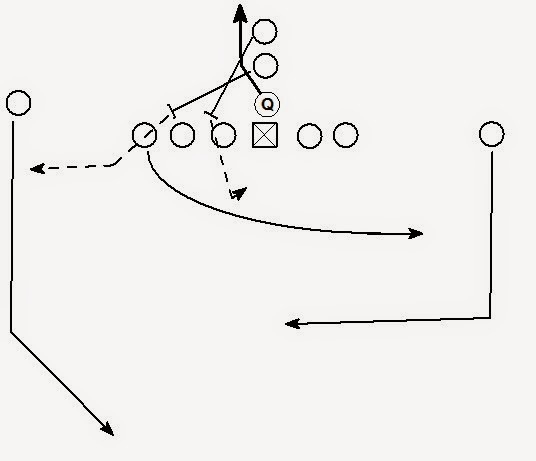 The post safety robs the dig when the TE runs the crossing route. The Corner overlaps when his #1 runs the dig and double covers the post. 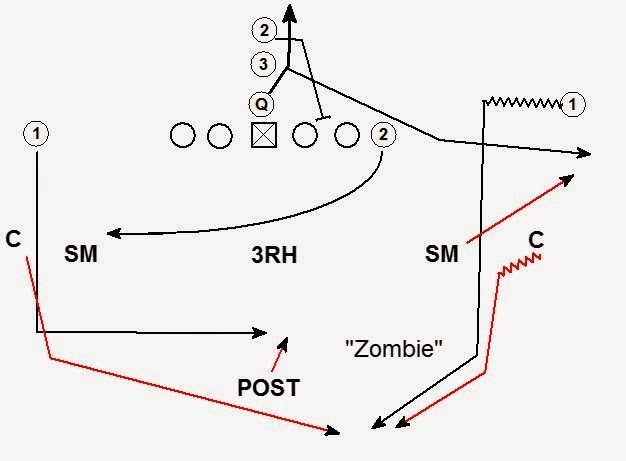 Zombie can be a good solution in a 3 deep coverage concept to handle play action and cover the levels route combination. Coach another great fire zone post! I would be interested to see how to defend trips, does the seam defender keep the same rules (match, carry, deliver)? How does the 3hook defenders rules change? Thanks in advance.